Are you considering dental crowns or a bridge to replace missing teeth? A crown or bridge is the right choice for many men and women, and they might be the right choice for you, too. In fact, an astounding 15 million Americans have crowns to replace missing teeth. The dentists at Edgewater Dental Group, serving patients in Chicago, Edgewater, Rodgers Park, and Andersonville, Illinois, are experienced professionals, so if you think you may need a crown or bridge, book an appointment online or call today. What is a dental crown or bridge? A dental crown is also called a "cap." It's placed on top of a damaged tooth. It's shaped to look like the natural tooth and can enhance the tooth's appearance and stability. The crown is placed on top of the original tooth, completely covering the area of the tooth that can be seen above the gum line. It's sealed in place with a special cement. As the name suggests, a dental bridge spans the gap left by a missing tooth. A bridge attaches to the natural teeth on either side of the empty space and has an artificial tooth in the center. 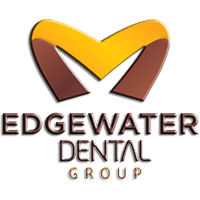 The team at Edgewater Dental Group use the latest digital technology and most aesthetically pleasing materials while keeping their prices competitive for crowns and bridges. Are dental crowns or bridges a good fit for me? The experienced dentists at Edgewater Dental Group may suggest a crown or bridge for many reasons. A crown can cover a dental implant or a discolored or oddly-shaped tooth, while a bridge maintains tooth alignment and helps you chew and speak properly. Whether you need a crown to improve the look of your smile or the functionality of a tooth, a dental crown can safeguard teeth. Bridges save your teeth from shifting out of alignment and make it easier for you to chew food and speak after losing a tooth. The material used for your crown depends on your situation and the crown's purpose. For instance, stainless steel is usually the preferred material for temporary crowns. Prefabricated stainless steel crowns are a frequent choice for children who have decayed baby teeth and need crowns. Metal crowns are sturdy and able to withstand the force of chewing and eating, but due to their striking color, they're usually reserved for use on back molars. Porcelain fused to metal crowns have a more natural appearance than metal crowns, but they do come with some downsides. For instance, the opposing teeth may suffer more wear and tear than they would with other types of crowns. The metal portion of the crown might also be visible as a dark line near the gums. A dental crown procedure generally requires at least two visits to the dentist. During the first visit, your Edgewater Dental Group professional takes X-rays to determine the health of the tooth that needs a crown. Next, your dentist uses a local anesthetic to numb the tooth and its surrounding tissue. The tooth is filed down or built up so that the crown fits properly and securely. Once the tooth has been prepared, the dentist makes an impression of your teeth, which is sent to the dental lab and used to construct a custom crown. Your dentist fabricates a temporary crown to safeguard your tooth until the permanent crown is completed and in place. Getting a dental crown can be a simple, easy process. To discuss your crown options, contact the experienced team at Edgewater Dental Group or make an appointment online.